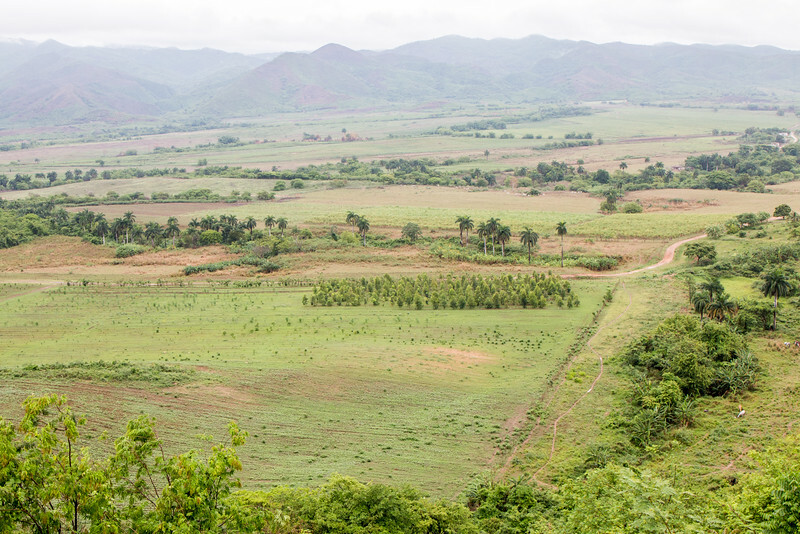 On the second day of our trip to Trinidad, we headed to the neighboring Valle de los Ingenios, a renowned location in Cuba for its sugar cane plantations in the 18th and 19th centuries. 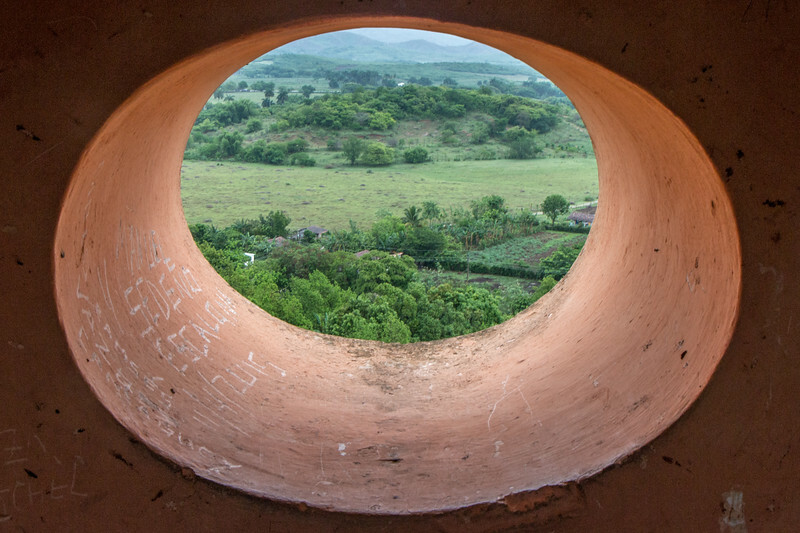 Valle de los Ingenios translates to English as the Valley of the Sugar Mills. 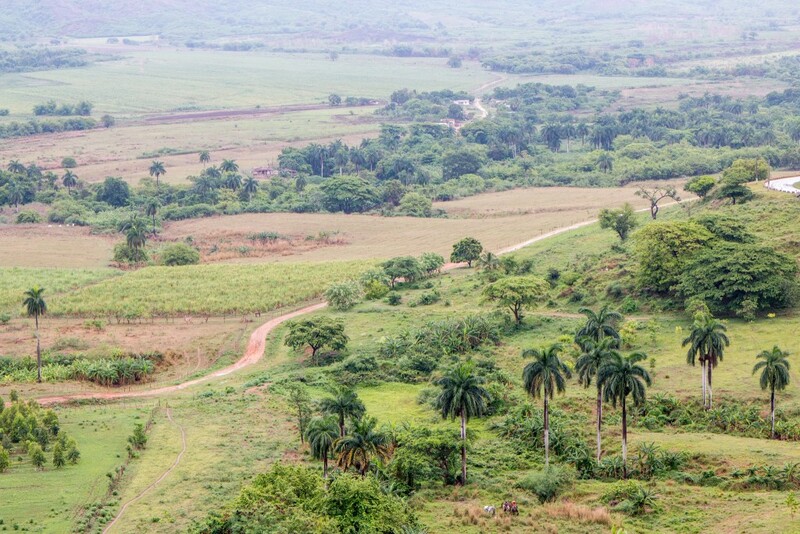 Valle de los Ingenios is actually a group of 3 connected valleys (San Luis, Meyer, and Santa Rosa) and, at its peak of production, over 50 sugar mills were active there. 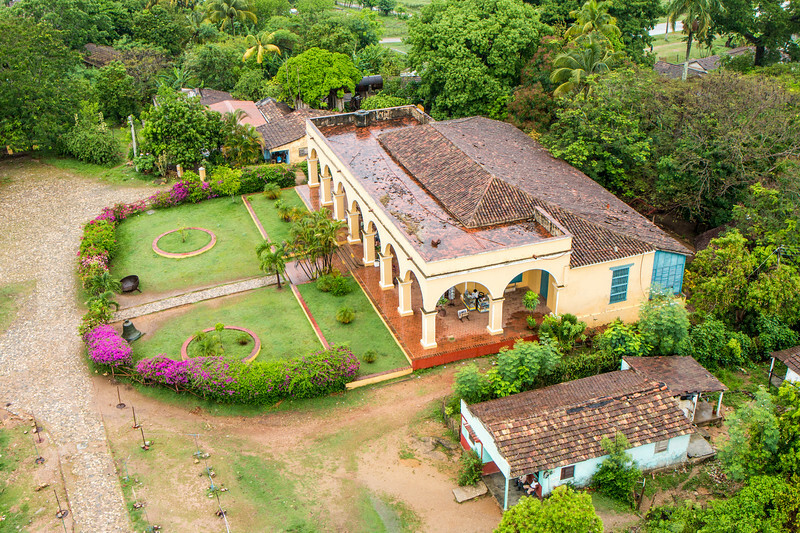 Due to its importance in Cuban history, it was recognized as a UNESCO World Heritage Site. 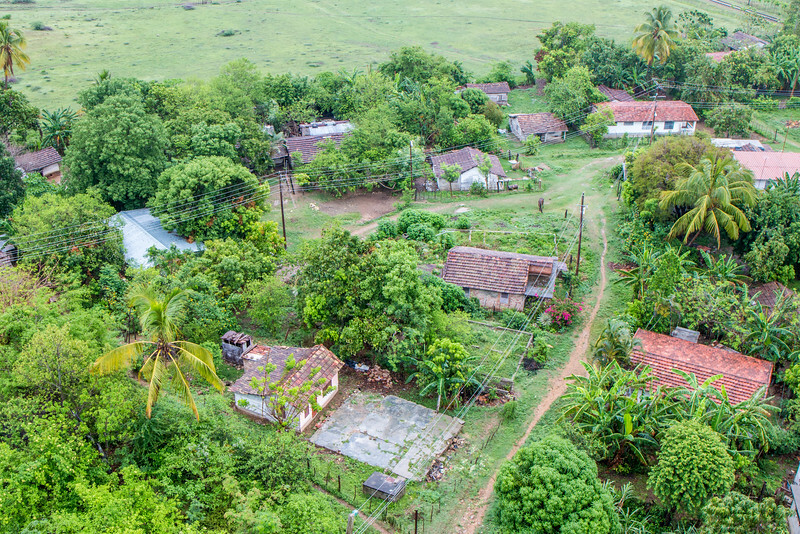 The history of Valle de los Ingenios and Trinidad’s are tightly connected. The fortunes that the owners amassed during those days were mostly due to slave work on the sugar plantations. Thousands of slaves worked on them. When slavery was abolished, sugar production declined and so did the region, with most of the sugar mills and other facilities turning into ruins. A few exceptions of well-preserved sites exist and those are the ones that can and should be visited. Let’s see which ones! 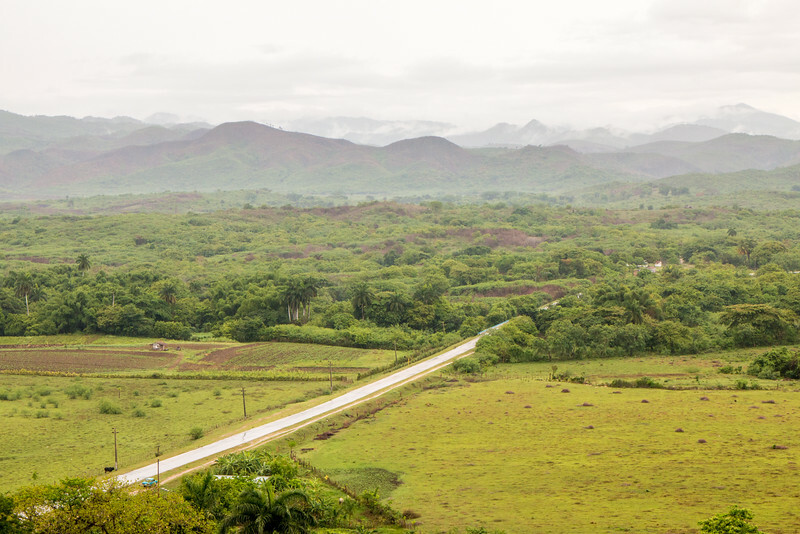 Valle de los Ingenios is only 12 km northeast of Trinidad on the road to Sancti Spíritus. We visited by car as part of our Cuban road trip, but tours or private taxis are widely available. Check with your hotel or casa particular in Trinidad. The valley is not that big and can be covered in a day or even half a day. The latter seems to be more popular. 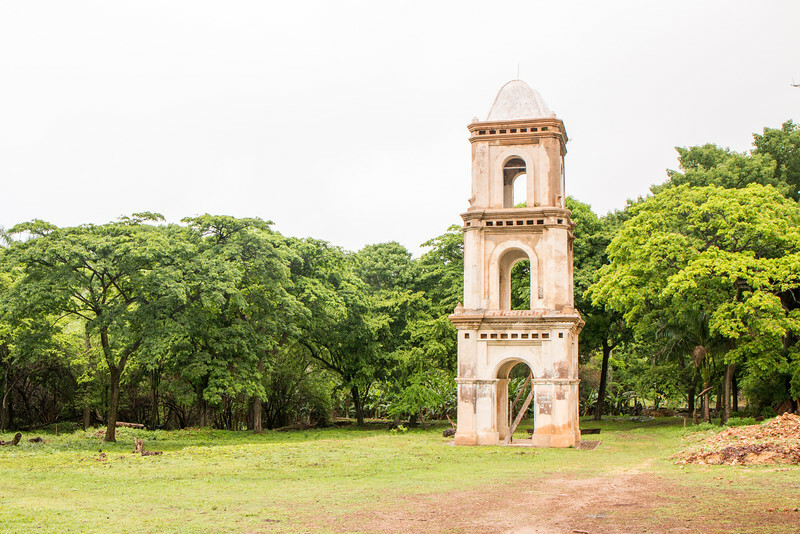 For us, spending the whole morning there and then having lunch at one of the former sugar estates was a great way to experience Valle de los Ingenios. Mirador de La Loma del Puerto is a lookout at the entrance of the valley and our first stop after leaving Trinidad. The lookout is not very high at only 192 m but offers some of the best views over the valley. Located at the very top of the mirador is a bar. Definitely a venue with a view! It’s fine to visit for those not going to the bar. Just say a friendly ‘Hola!’. We made the turn towards San Isidro de los Destiladeros without knowing what to expect. There was no mention of it in our guide, nor a sign indicating what it was. We decided to do it anyway. Two kilometers down the road we stumbled on a beautiful three-story bell tower! The whole estate of San Isidro de los Destiladores had been abandoned over 100 years ago and was now slowly being restored. A lot of work was still left to be done on the main buildings but it was already looking much better. A good thing? Hardly anyone visits this place. Manaca Iznaga is the central place of Valle de los Ingenios and the one most tourists choose to visit. Its bell tower is easily one of the most recognizable sights in the region! 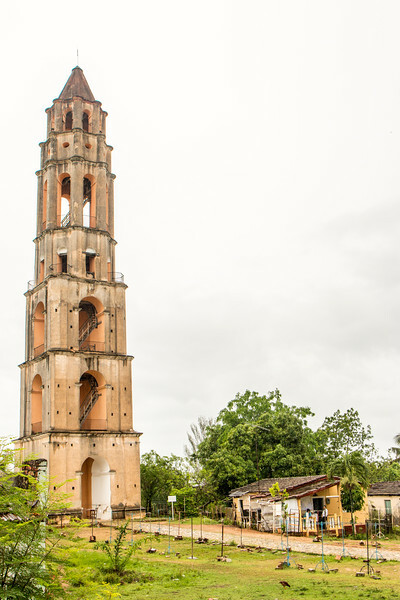 Speaking about the tower, Torre de Manaca Iznaga is a seven-story 45 m high tower built in 1816! The bell now lies at the foot of the tower. Yes, quite remarkable and clearly the highlight of Valle de los Ingenios for us. 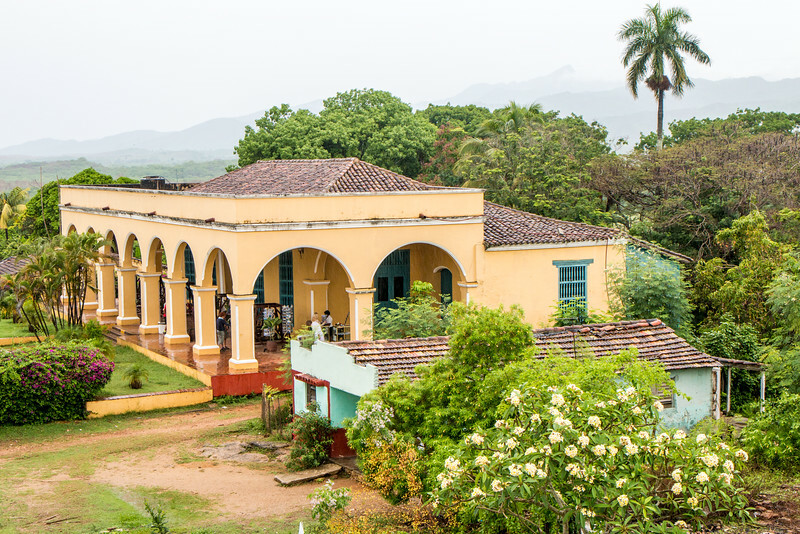 The rest of the Manaca Iznaga estate includes the main mansion and a few other small houses. The train station is also here. The tower is open to the public and going up costs only 1 CUC. 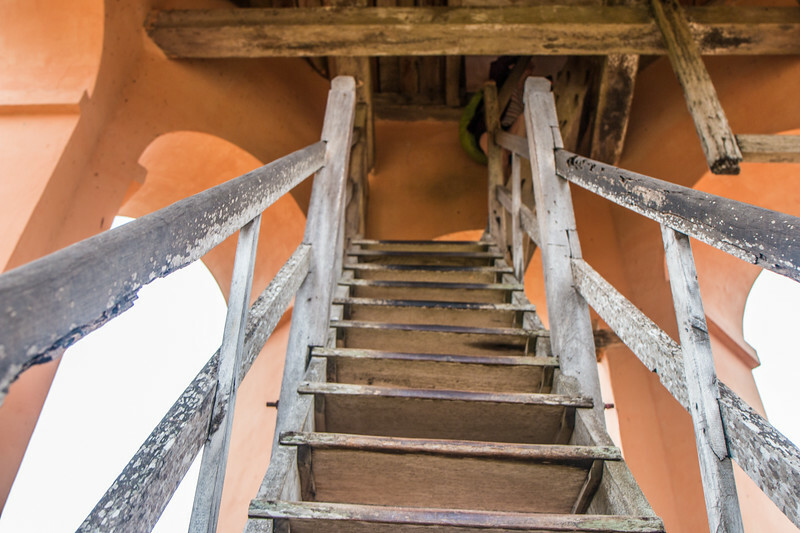 It’s hard to beat the views and experience of going up such a historical tower. Even in rainy weather and bearing in mind the narrow wooden stairs. We’ll let the pictures do the rest. Before leaving Manaca Iznaga, we had lunch at the former colonial mansion turned restaurant. As usual with touristy restaurants in Cuba, it also had live music and a nice and relaxed environment. Two other former sugar estates, Guachinango and Guáimaro, are also visitable. One thing that both have in common is that their main houses have been converted into restaurants. Horseback riding is also possible at Valle de los Ingenios. A better and more interesting alternative to driving or a guided tour is the train that connects Trinidad to Manaca Iznaga and Guachinango. The train journey takes at least half an hour, leaving Trinidad roughly around 9.30 am and back after 2 pm. It is known for not being too reliable! The price is 10$ (CUC). Have you been to Valle de los Ingenios? Would you like to visit? Great pictures – the architecture is amazing but I would never had imagined such lush green landscape. It’s amazing how our perceptions of somewhere can change through the experiences of others – thank you for sharing! Thanks, Vicki! Glad you liked it. Sounds like a really wonderful day trip! You mentioned that people take private taxi – is this a cheap enough form of transport for the day? Or would you suggest a private car or train instead? I know you said the train isn’t always too reliable so am interested to know which method of transport you prefer. Yes, but you need to negotiate and if you do it through someone else (like through a casa particular) you’re likely to get a good deal. Speaking Spanish also helps! The train is scenic but doesn’t give you flexibility. Having your own car is the best choice for sure. Thanks for introducing this place, even better cause as you said, hardly anyone visits it. Those are the places I love exploring and I like learning about the history or stories behind it. Yes, these kinds of places are definitely the best to visit. Looks like you found an off-the-beaten path just outside of Trinidad! The Manaca Iznaga Tower doesn’t look as if it even belongs where it is! Has the bell tower always stood by itself or is there any evidence it was part of a larger structure? The Valle de los Ingenios looks pristine and perfect for horseback riding! Yes, by itself. The colonial house/mansion is just next to it and that’s it. It was big so the owners could oversee what was going on with the plantations and the slaves. Valle de los Ingenious looks stunning! And so green! I’m in London at the moment and desperate to see a bit of greenery! I think i’d be a bit nervous about those stairs though – they look a little precarious! What a beautiful tower though! The stairs look worse in the pictures. In reality they seemed to hold on just fine! I haven’t been to Valle De Los Ingenios but would love to visit. Fascinating history with the sugar mills. Great to know that they are starting to restore some of the structures there. 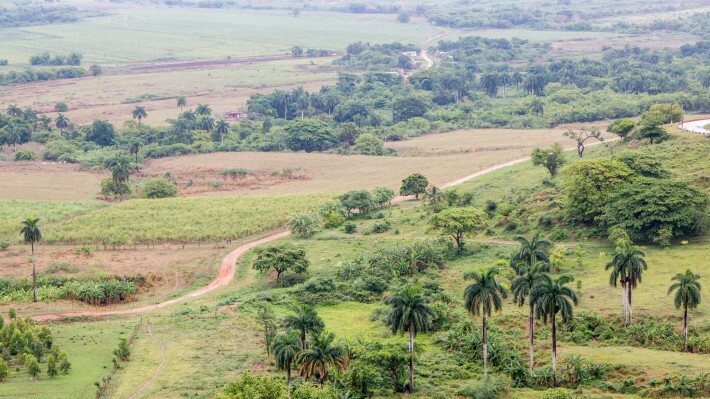 Just like everything else in Cuba, restoration is happening but slowly! I’ve actually never heard of this place! Its good that you guys went to visit, it seems like a real lovely place! Not very well-known although it’s very close to Trinidad, one of Cuba’s most famous colonial towns. Awesome Post! I have not seen this place before! It sounds like you have found an off beaten location! I realised that more and more people are travelling into Cuba nowadays!